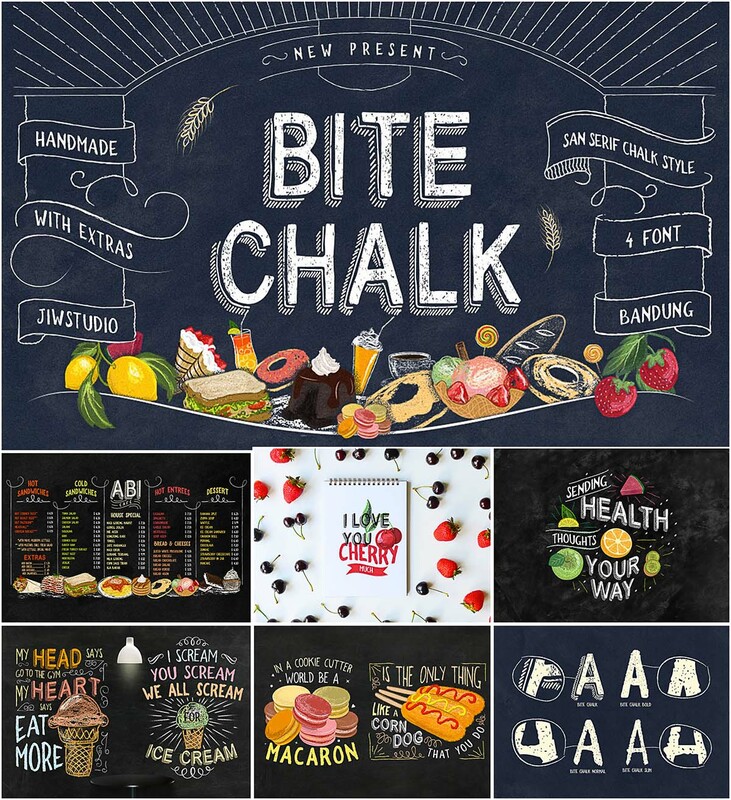 Introducing BiteChalk typeface with extras. This is good for projects like a menuboards it’s specially designed cafe or restaurant, background photoboots wedding, t-shirt, posters, etc. Free for download. File format:.ttf for Photoshop or other software. 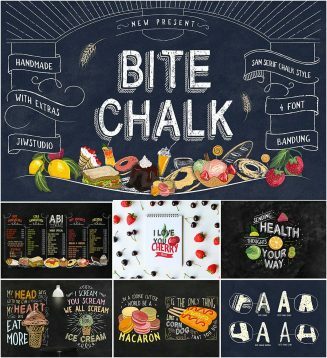 Tags: cafe, chalk, chalkboard, dessert, display, menuboard, restaurant, shop.